A lesser known shivalinga came to my notice recently. This shivalinga is natural and quite inaccessible, for majority of the devotees. 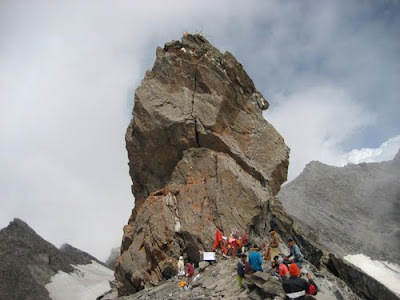 The shivalinga is in the form of a 72 ft gigantic rock, known as Shrikhanda Mahadev and is situated at a height of some 18000 ft above the sea level, on the mountains. The entire journey is planned over a period of ten days by the Govt of Himachal Pradesh which is open only for 15-20 days in July-Aug when the weather conditions are favorable. However, the journey is arduous and the trekking is quite tough. The spot has an interesting legend associated with it. According to this, a demon Bhasmasur did severe penance to propitiate Lord Shiva and earned a boon. Bhasmasur asked for a boon of turning everybody to ash, by just putting his hands on him. On getting the boon, Bhasmasur tried to test it on Lord Shiva himself. Shiva ran away from him and hid himself in a cave. Later he took the help of Lord Vishnu, who met Bhasmasur in the form of Mohini, the enchantress. 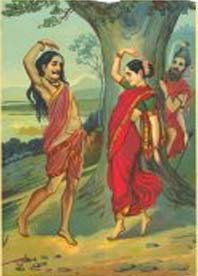 Mohini tried to lure him into a dance and during one of the movements, Mohini made Bhasmasur touch his own head, leading to him being reduced to ashes. It is said that when Lord Shiva came out of the hiding from the cave, he appeared on the rock now better known as Shrikhand Mahadev. The rock has a crack in the centre of it, and this it gets its name from the same (khandit meaning crack). As part of the journey to the spot, one comes across a cave, known as Devdank, the cave where Lord Shiva had hidden himself from Bhasmasur. Besides this, one also comes across a lake known as Nain Sarovar, a natural pond the source of which is believed to be the tears of Goddess Parvati. During the trek, the pilgrims take a holy dip at the pond and carry the waters back with them too. Besides the legend of Bhasmasur, the place also has some association with the Pandavas of Mahabharat. According to the local folklore, the presence of huge rocks and boulders between the Nain Sarovar and Shrikhand Mahadev is due to the fact that Bhima was building a staircase to ascend to the heavens. These rocks are thus referred to as Bhim-shila or the rocks of Bhima. Some tales also claim that there are some ineligible writings found on the rocks and these were details of the adventures of the Pandavas, noted by Bhima himself. It is interesting to find such inaccessible spots being associated with gods. The arduous trek and the tough weather makes access so tough that it does seem reaching such places only an act of divine intervention. Such spots also add to the local places getting its moment of glory, for however short span of time it be. When I was a child, amongst all the rishis, the one who intrigued me the most was Sage Durvasa (pronounced with the ‘a’ silent), known more for his anger. When I grew up, I found the character of Sage Durvasa all the more intriguing, since he was a rishi, a sage, who ought to have overcome all temptations and emotions, including anger, but not in his case. If knowledge was supreme and the way to all bliss, then why was this sage, known more for his anger than anything else? 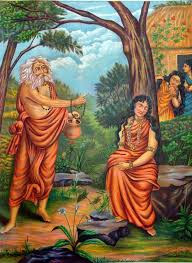 Why was he referred to as the one who was ready with a curse for offenses as minor as the one Shakuntala got for not responding to him when she was lost in her own reverie? The cause lies in one of the myths associated with his birth. According to one of the Purana, once there was a heated argument between Lord Brahma and Lord Shiva. There was so much energy in the argument that the gods decided to flee out of fear. This upset Parvati and she complained to Lord Shiva that his anger was creating a lot of trouble for her and the other gods. When Shiva realized it, he decided to ‘deposit’ his anger in to Anusuya, the childless wife of Sage Atri and Durvasa was supposed to have been born out of this. Durvasa was thus a personification of Shiva’s rage and anger, an aspect that Parvati complained about. Durvasa literally means ‘ill clothed’, while some have said that it meant, one who was impossible to live with, which I believe has been taken from the above myth. Though sage Durvasa was known for his anger and curse at the drop of a hat, his benevolent side has largely been overlooked. His curse to Shakuntala in Kalidasa’s Abhijnanashakuntalam, which changed the destiny of Shakuntala and his curse to Lord Indra which led to the samudra-manthan (read This is Utkarsh Speaking: Kumbh Mela), are some of the curses which have been responsible for his image. However, he has also given boons which have had very positive effect on the benefactors. The most important boon that he conferred on was the boon of calling any god to beget children to Pritha or Kunti after being satisfied with her services. Irrespective of this being a case of his foresight or a fictional need, there is no denying that the boon was of immense help leading to the birth of six heroes in the epic Mahabharata. Another lesser known myth has to do with Draupadi’s disrobing. Though popular renditions of the episode of saving Draupadi from the disgrace of disrobing are ascribed to Lord Krishna, a lesser known myth ascribes it to Sage Durvasa. According to the Shiva Purana, once while bathing, Sage Durvasa’s loin cloth floated away in the current of the river and he was left with nothing. At that moment, Draupadi, tore off a piece of her sari and saved the sage from an embarrassment. Pleased with her act, sage Durvasa blessed Draupadi that if she ever was in a similar predicament, there would be an unending supply of cloth for her. Sage Durvasa has been an important character, who seemed to be a catalyst to many important events in mythology, both good and bad. While he creates a dramatic divide in the Abhijnanashakuntalam, he enables the samudra-manthan, which made the gods immortal. While his boon enabled the birth of the key characters of the epic Mahabharat, he also saved a distraught Draupadi from a public shame. Before we conclude, here is a relatively lesser known myth ascribed to Sage Durvasa, which I am not sure is a benevolent curse or a harmful boon. Towards the end of the epic Ramayana, in the Uttarakhand, Lord Brahma sent message to Lord Ram to return to Vaikuntha as Lord Vishnu. The messenger was none other than Yama, the lord of death, who had come in the form of an ascetic. Prior to getting into a discussion with Rama, Yama, made a condition, that while they were discussing, there should be no disturbance, whatsoever else, the person disturbing would lose his life. Rama entrusted Lakshman with the task of not allowing anybody inside the room and stationed him outside the closed door. While the discussions were on, Sage Durvasa came to the palace and asked for an urgent meeting with Rama. Lakshman tried to explain that Rama was in an important meeting with some ascetic and was under strict instructions of not being disturbed. Sage Durvasa was angry that Rama was giving priority to some ascetic over him, and his brother had the temerity to stop him. Durvasa was angry and told Lakhsman that if he did not get to meet Ram immediately, he would burn down the city of Ayodhya. Lakshman reasoned out to himself, that instead of having the whole Ayodhya burn down, it had rather be him. Lakshman went inside the room and broke the news of Durvasa’s arrival and his need to be met immediately. Ram calmly stepped out of the room, met Durvasa and spent time with him till he left satisfied. But Yama’s condition too could not be broken. Ram instructed Lakhsman to go to the river Sarayu and proceed for the heavens. On reaching the Sarayu, Lakshman was escorted to the Vaikuntha, where he assumed the form of Adishesha, which became the seat of Lord Vishnu and waited for Lord Ram to return to Vaikuntha. I am left with my doubt – was this act of Sage Durvasa, a curse or a boon? Was this an act of allowing Lakshman to ascend the heavens and wait for Lord Ram or was this to be seen as the cause of Lakshman’s ‘death’? Was this to be viewed as Durvasa creating an unwanted situation or was this the final act of showing Lord Ram’s respect for the learned and keeping his word to Yama, even if that meant the life of his brother? Yesterday, was Teachers day. However belated, I am reproducing something that had come to me, sometime back, but haven't ceased to appreciate it even today. Needless to say, this brilliant piece has not been written by me, but it sure does echo my thoughts on this matter. Here's thanking all my teachers for helping me in whatever I am today!! The dinner guests were sitting around the table discussing life. One man, a CEO, decided to explain the problem with education. He argued, "What's a kid going to learn from someone who decided his best option in life to become a teacher?" Boasting of his profession, he said to another guest, "You're a teacher, Bonnie. Be honest. What do you make?" Teacher Bonnie, who had a reputation for honesty and frankness replied, "You want to know what I make? Well, I make kids work harder than they ever thought they could. I make kids sit through 40 minutes of disciplined class study time when you can’t make your kids sit even for 5 min. without an I Pod, Game Cube or movie rental. I make kids wonder. I make them question. I make them apologize and mean it. I make them give respect, earn respect and take responsibility for their actions. I make them read and read and read. On curriculums, values, ideals. I make them use their brains and spiritual muscles. I make my students preserve their unique cultural identity. I make my classroom a place where all my students feel secure as a cohesive unit with their self-esteem and self-confidence intact. Then, when people try to judge me by what I make, let them know that I make a difference in all your lives, educating your kids and preparing them to become CEOs and Doctors and Engineers. And may I ask you, Mr CEO, What do you make? His jaw dropped; he went silent. And so also the whole gathering. Last time we read about the myths associated with paan or the betel leaf in the sub-continent. What is important to make a note of is that chewing the leaf is not confined to the sub-continent only. 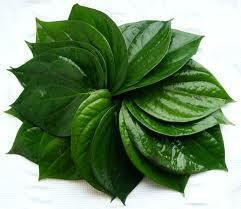 The betel leaf is very popular in other countries like Myanmar, Vietnam, Philippines, Cambodia, etc. 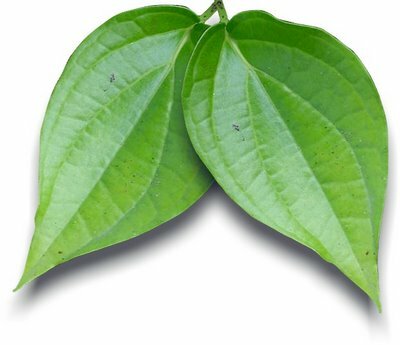 Vietnam has a very interesting myth associated with the betel leaf and the way it is to be consumed. But first – the myth! Once upon a time there were two identical twins, Tan and Lang. They loved each other and took great care of each other. After they lost their parents at a young age, their teacher took them in his shelter. Soon they grew up and the teacher’s lovely daughter fell in love with Tan and they were married. Tan and Lang would leave in the morning to cultivate their land and would return in the evening to dinner prepared by Tan’s wife. Things were fine till one day, when Lang returned earlier than Tan. In the dusky darkness, Tan’s wife mistook Lang for her husband and welcomed him with a kiss. Before Lang could explain, Tan saw this and was very angry with Lang and shouted at him and accused him of trying to steal his wife. Lang tried to explain, but Tan would not hear of it. Lang was sad and left home as he felt that his brother was not the same as earlier and he did not love him anymore. He ran away and continued running till he could move no longer and dropped tired close to a river and soon died out of exhaustion. The gods took pity on him and turned him into a huge limestone rock. As anger subsided, Tan felt guilty for what he had done. He was also getting worried that his brother had not returned. He told his wife that he was going to get his brother back and would not return till he found him. Tan looked everywhere but could not find his brother. On reaching the river he felt peaceful and sat next to the limestone, but never rose, as he too died of exhaustion due to extensive walking that he had undertaken during his search. 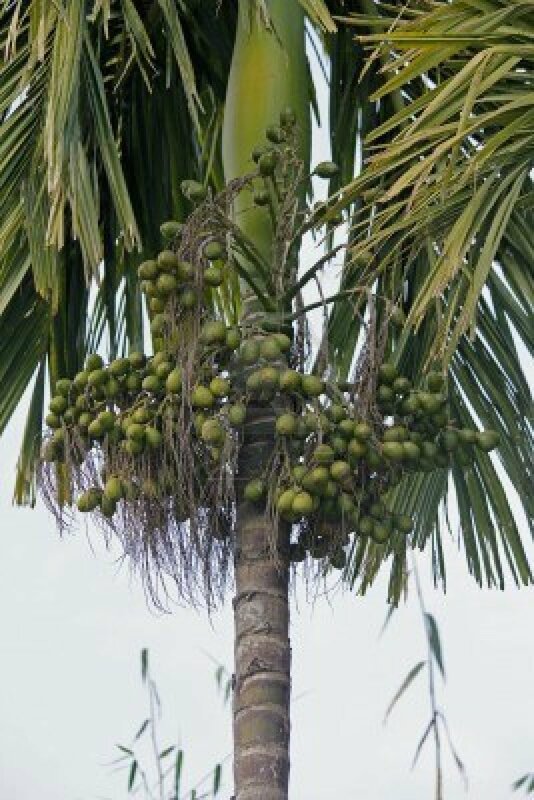 The gods again felt sad for Tan and they changed his body into the areca tree (also known as betel nut) which leaned on to the rock. Soon, Tan’s wife was worried and she too set out to look for her husband and his brother. She too came near the river and could walk no further. She was found dead holding on to the areca tree. The gods changed her into the betel leaf plant which grew around the areca tree. When the teacher returned and learnt about everything, he built a temple near the river to mark the love of the husband-wife as well as the brothers. Many years later, the land was hit by a devastating drought and all plants and trees died due to lack of water. But the areca tree and the betel leaf was as green and alive as ever. down to see. In the shade of the river, the King sat for rest and unknowingly took a betel leaf and some areca nut and started chewing. He found the taste bitter but refreshing. Something told him that he needed to add the limestone to it too. Since then, serving betel leaf with areca nut (or supari in Hindi) and limestone (or chuna in Hindi) became a must during marriages in Vietnam as a mark of marital fidelity and love between siblings. 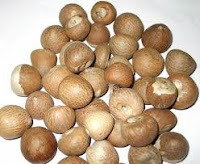 The above is an interesting myth, which not only explains the origin of the betel leaf, but also the areca nut and the limestone, which is a must in any preparation of the paan or the betel leaf in any part of the world, including India. It also gives the reason of consuming the three together. An interesting myth which though emanates from a different culture has the same result across different cultures! During a recent discussion with a friend on food habits, the discussion veered towards, Paan or the betel leaf, the must-have after every meal. Paan is considered to be a medicinal plant with medicinal qualities, and aids digestion. My friend wondered, that here was a leaf which was known for its medicinal qualities and was a must in every religious ritual, but he has yet to find a father offering a paan to his child! That sure was an interesting observation and the reason could have less to do with the paan itself and more with what went in making the paan, the main among them being tobacco. But was paan meant to be a medium of having tobacco, or did the latter find itself inside the paan more out of poor design? That’s for food-historians (if there was one), but the topic of paan did make me a bit curious. I have seen paan in every household as a child when I grew up in Kolkata, West Bengal. Offering paan made by the host was an honour and an indulgence by the host. But my searches always head one way and this time too, I was looking for its origin, in mythology. The Hindu mythology, does not talk about it much, except for the fact that it was one of the things that emerged from the churning of the ocean during the samudra-manthan. However, the Skanda Purana goes on to give a reason of its usage during every religious ritual. According to this, every god resides on the different parts of the leaf. Lord Indra resided on the top portion of the leaf, Goddess Saraswati in the middle and Goddess Lakshami in the lower tip, while Lord Vishnu resided inside the leaf, besides many other deities on the outer-side, left side and so on and so forth. Such association makes it a must to be used in any or every religious ritual. One more reason given for its use in all kalash or pots with water, is that its presence purifies the water in the pot. Though this tale is from the Jataka Tales, it is also one of the most common tales associated with the betel leaf, in the region of Sri Lanka. According to this tale, during one of the incarnations of the Buddha as a hare, it offered itself to the God Sakra. Sakra took the form of a demon and appeared before the hare and asked it to prove its commitment to gods by preaching a sermon and offering it some food, however, he ate only roasted meat. The hare was worried, that where could he get roasted meat in the wilderness, so it offered itself. But the demon reminded it of the sermon too, which he had to deliver. The hare came up with an idea. It asked the demon to create a tall mountain and put the hare at the top of the mountain and light a fire at the base. The hare jumped from the top of the mountain, delivering the sermon and would reach the fire and get roasted for the demon to eat. Sakra was impressed by its devotion and caught the hare just before it could land in the fire. Sakra then placed the hare in its arms and took it to the land of the gods. He then painted the likeness of a hare on the moon to commemorate the act of self-sacrifice by the hare and threw the brush away which incidentally fell in the Nagaloka, or the land of the Nagas, or snakes. The King of the Nagaloka, for some reason ended up swallowing it by mistake and died with pain due to the brush getting stuck in his throat, after seven days. Soon a plant sprouted at the spot where he was burnt which was named the throat-burning-leaf (you might understand this if you try eating a betel leaf all by itself!). It is said that the branches of the creeper sprang from the tail of the Naga and the stem from its body and the leaves from its hood. This could also be one of the reasons why the the creeper gets its name in the vernacular as Nagarvel (Gujarati) or Nagavalli (Tamil/Sinhalese), meaning the serpent-creeper. 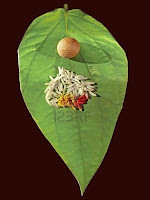 Many a times, paan is consumed by clipping its stem and the tip of the leaf. As a child I have observed many do this as a ritual, but none gave me any reason for the practice. However, the real reason behind doing this is hidden in another interesting myth. According to this, the leaf was brought to land of the humans from the Nagaloka, by a snake, holding the stem and the tip of the leaf by its teeth. Since then it is believed that the stem and the tip bears the snakes poison and it is best to clip off the two before eating the leaf! Next we will see an interesting myth of the betel leaf from a different culture!